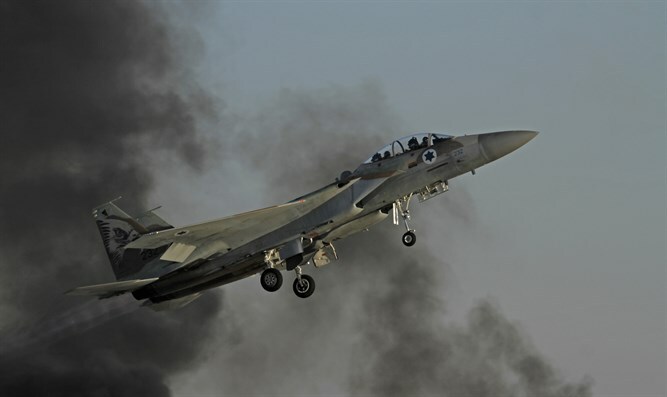 "The second we were alerted to the launches from Gaza into our territory, we quickly prepared the squadron," Lieutenant Colonel D. said. "We brought air crew members, armed the aircraft, we brought everything we needed in order to attack the exact targets. And in fact, we completed the entire process in a very short time." "We did everything we could in order to prevent more launches from Gaza." "As soon as the technical department is scrambled, they have several minutes to rush to the aircraft and prepare them in the shortest time possible," Major A. said. "Last night, the technical department worked very intensely. It was a long night full of rotations. Aircraft returned and were rearmed with munitions." "The people here ran around and worked very very very hard to perform the missions in the best and most professional way possible. Our squadron is capable of bringing large amounts of munition to the target very precisely and quickly." He noted, "When the aircraft takes off carrying munitions and returns empty, we understand what occurred there. It usually sits somewhere in the back of your head that you are doing something very important. But in real time, we are very busy." D. added, "Everyone in the squadron, air crews and ground crews, are here every day and night...to give you, the people of Israel, a sense of security." "You can sleep soundly at night, we are protecting you from here," he concluded.